Mmm! Macaroons! Do you love ‘em? Crunchy or chewy, macaroon cookies are a tasty treat, particularly today. It’s National Macaroon Day in the United States. Did you hear the age-old story about the two elderly twin sisters, Grace and Gloria, who shared a single set of dentures? One day, the two ladies were invited to a grand gala at the local country club. They decided to take turns with their teeth. Grace dolled herself up first, popped in the choppers, and headed for the festive gathering. After an hour or so, Grace returned home to give her sister a chance at the prestigious party. “How was it?” Gloria asked. Grace handed the dental set to her sister, who promptly inserted them into her own mouth and chomped the plates into place. “Umm, macaroons!” Gloria exclaimed, as she bit down on the still-warm dentures. Check out these yummy macaroon recipes from several online writers. Ever since Boule on La Cienega closed, you have to think a little harder about where to find good French macaroons in Hollywood. One way is to make your own macaroons. 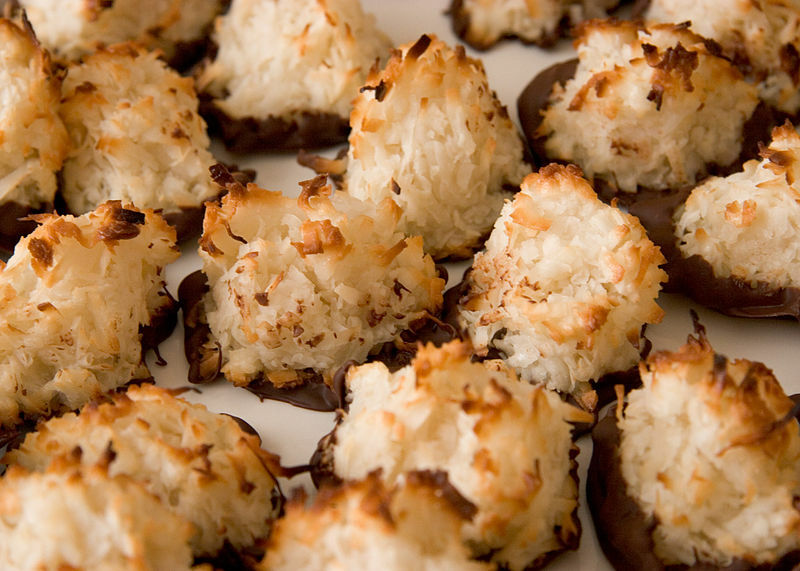 Make macaroons with many variations, such as chocolate, cocoa, espresso, and more. Oatmeal Macaroon Cookies are a favorite of in many families. These homemade cookies are moist and delicious. 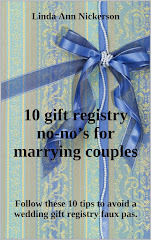 Macaroons make great gifts for holidays as well. Coconut macaroons are one of the most delicious desserts out there - but sadly, they tend to be a bit minuscule, and if you have a large group to serve, making them can be a little too tedious. Perhaps you would prefer a simple, delicious macaroon pie! From Manhattan to Montana, and from Maine to Mississippi, mighty macaroons have even been credited with curing such ailments as diarrhea, nausea and morning sickness. 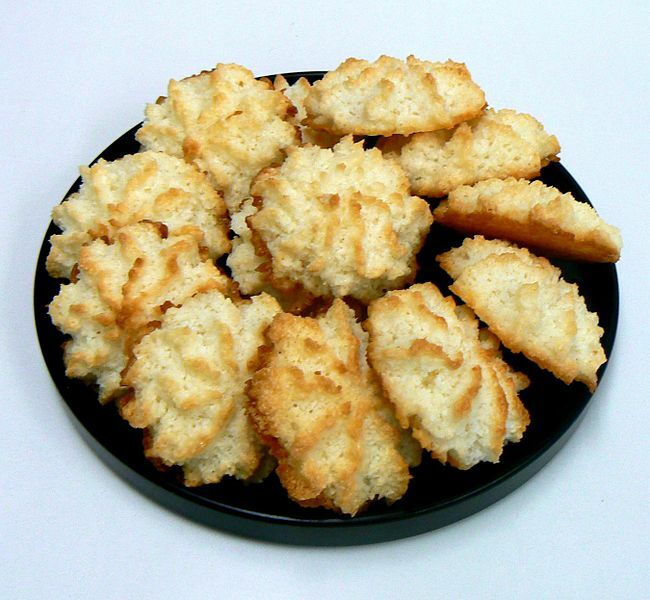 Why not whip up a batch of macaroon cookies today? Blond Brownies - a 3-Ingredient Family Favorite – Got a bake sale at school? Need to whip up a batch of brownies in a hurry? 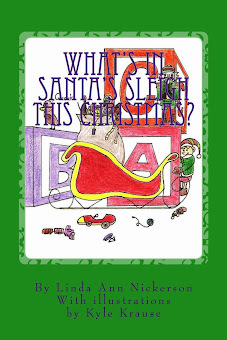 Perhaps company is coming, or you simply want to surprise your family with a home-baked treat. These blond brownies are ever-so-easy to make. Cupcake-Tossing Woman's Domestic Battery Charges Sound Half-Baked – Sometimes a little batter at home can lead to domestic battery charges. Dawn Montesdeoca was arrested after apparently tossing cupcakes at her husband during a spat in their Chicago kitchen. Domestic violence is serious, do cupcakes count? Recipe: Cinnamon Oat Crunch Cookies – Cookies don't have to be dietary no-no's for healthy food fans. These delicious home-baked goodies are packed with fiber and good things. Why not whip up a batch for a family gathering, a holiday party, a summer picnic or a potluck? Recipe: Cracklin' Oat Bran Cookies – Do you have a cookie fiend in your home? These crunchy, crispy cookies are a family favorite, made with Kellogg's Cracklin' Oat Bran cereal. Don't tell my family how nutritious these home-baked cookies are. I promise I won't tell your family, either.